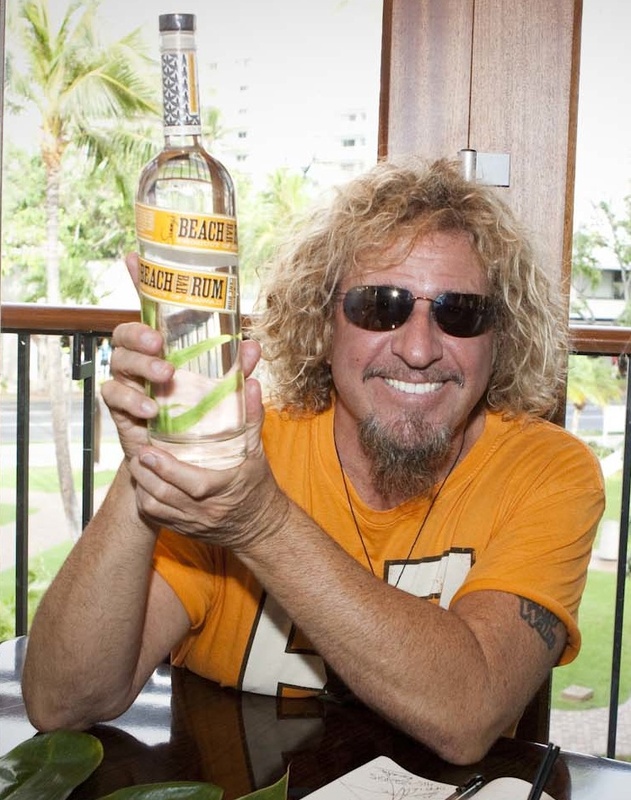 Sammy Hagar has launched a new beverage: Sammy’s Beach Bar Rum. Honolulu magazine reports Hagar was at the Hard Rock Honolulu this week to promote the new drink, distilled on Maui by Mark Nigbur of Pau Vodka. Hagar, who has a home on Maui, had been given a bottle of the vodka and made an appointment to meet Nigbur in the corner of the old Maui Pine cannery where Nigbur distills vodka out of pineapple juice in glass stills. "I asked, Can you make rum?," recalls Hagar. "He said he'd give it a try." A couple of years later, they have a finished product. The rum's not just a celebrity deal, insists Nigbur. "Sammy has an amazing palate, he knows what he's doing. When he liked the rum, I knew we had something." Nigbur may be right: Hagar knows his spirits. The Cabo Wabo tequila story bears that out. Read more at Honolulu magazine here. Sammy’s stop in Hawaii comes after Chickenfoot’s week of Road Test Tour dates in the States earlier this month; they’ll do it all over again in the UK in January.